Cover Reveal of HOW TO COACH GIRLS & Two Free Chapter Giveaway! 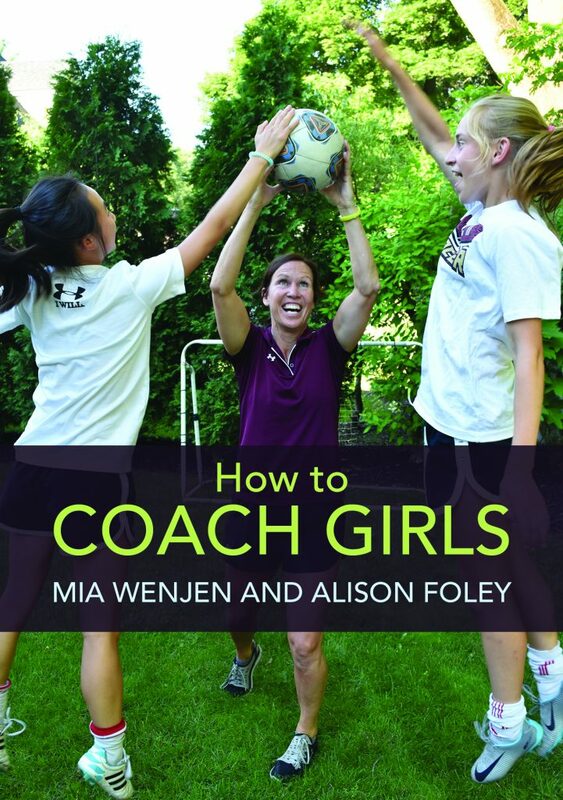 We are thrilled to reveal the cover of How To Coach Girls! Volunteer parents and experienced coaches alike will find invaluable advice on creating a successful team that motivates girls to stay in sports beyond the middle school years. Twenty-two chapters cover major issues, including how to pick captains, the importance of growth mindset, issues around body image and puberty, as well as the challenges of coaching your own daughter. 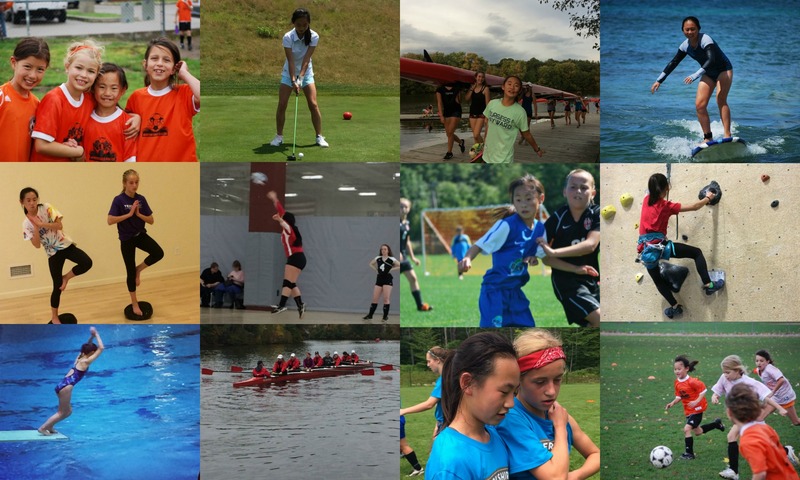 In addition, fifteen professional coaches from a range of sports, including former Olympian athletes, give their advice on what girls need from a coach to allow them to flourish in sports, and most importantly, have fun. 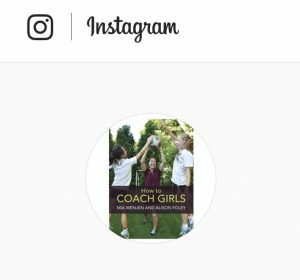 We am giving away two chapters of How To Coach Girls. You can download it here. 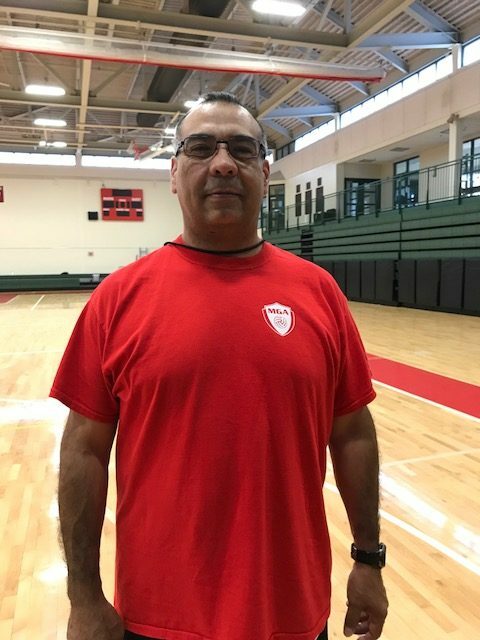 Fabian (Fabe) Ardila has coached volleyball for close to thirty years starting when he was eighteen years old. He coached high school volleyball for both boys and girls including Newton South, Wellesley, Sacred Heart, and Weston High Schools. He was the assistant coach for Harvard University as well. He currently also coaches at the club level for Smash Volleyball, as well as at his own club, MGA. For the U.S.A. Women’s National Volleyball Team, Fabe was a coach for the setters who competed at the Rio Olympics under Coach Karch Kiraly. He is currently working U.S.A. Volleyball with high performance athletes who train for future Olympics, including the national teams. Last, but certainly not least, he coached his three daughters who all play at a high level. I think listening is a key component when coaching your own daughters. We don’t do a good job at listening both on the parent side, and as their parent/coach. We don’t really listen and understand when our kids tell us what is going on and what difficulties they are having. We just assume that they should be doing things a certain way. If we listened a little better, and had better communication between the player (who is your son or daughter), and the coach, I think that would go a long way. It’s interesting because I’ve coached all three of my daughters, and each one had a different personality. But I believe the success that we had with each one of them had to do with talking in a way that each one understood what I was trying to get out of them, and pushing them just enough so that I wasn’t alienating them from me being a dad, or from our team and the things we wanted to do as a team. For more advice from Fabe including how he gets his players to love the game, please read How To Coach Girls coming out March of 2018. Doton became head coach of the Boston College field hockey program in 2015. 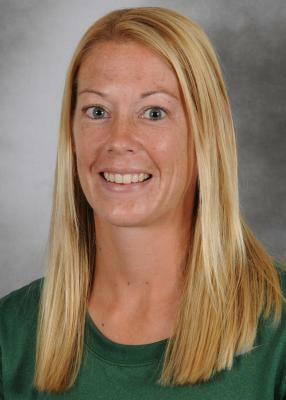 She started as associate head coach at Boston College in 2012, and previously coached at Indiana University. In Doton’s four seasons, Boston College has posted double-digit wins each year and has advanced to the NCAA Tournament in each of the last three seasons (2013-2015). A 2004 graduate of Wake Forest, Doton was an asset to the Demon Deacons on both sides of the ball during her collegiate career, helping to lead her squad to back-to-back NCAA championships. In addition to being named the ACC Player of the Year in 2002, she was also a two-time NFHCA First-Team All-American and a three-time All-ACC honoree during her career. In addition to her collegiate playing experience, Doton was a member of the U.S. Women’s Senior National Team from 2005-10. In 2008, she was part of the U.S. squad that traveled to the Summer Olympics in Beijing, China. What is your best piece of advice to a girls youth coach? Honesty is the best coaching approach. Criticism is never easy to hear and some young female coaches have a tendency to sugar coat coaching when it comes to things players can improve on. I hear a lot of youth coaches who acknowledge and congratulate athletes for things that shouldn’t be commended. In my opinion, that is validating bad play as acceptable. It’s the blue-ribbon society we live in where kids are getting a trophy just for playing. Be fair, be honest, and be open to the players. Treat your number 1 player on your depth chart just the same as the one sitting in last place. For Kelly Doton’s team building exercise for selecting team captains, please read How to Coach Girls coming out March of 2018. Sarah Dacey joined Barry University as Head Coach in 2016 after spending the previous season as an Assistant Coach under Denise Brolly. Previously, Dacey was the head coach at Babson College, as well as club head with the FC Bolts and Pinecrest Premier Soccer Club. She served as an assistant coach at the University of Albany, Boston College, Providence College, and the University of Tennessee. 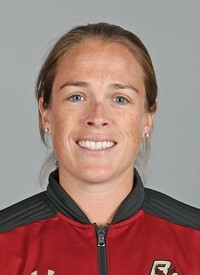 As an assistant at Boston College, she helped lead the Eagles to the 2010 Women’s College Cup. 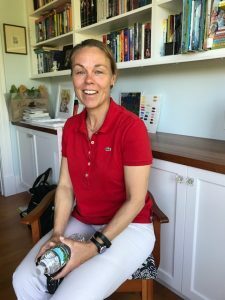 Dacey played professionally for the WUSA’s Carolina Courage and Boston Breakers until 2003, when she took over as head girls’ soccer coach at the Fay School in Southborough, Mass. A four-year letterwinner and three-year starter under legendary coach Anson Dorrance at UNC, Dacey helped lead the Tar Heels’ soccer program to three National Championships while earning Honorable Mention All-American honors in 1996. The Tar Heels went an amazing 98-3-1 during her career. She was also a three-year member and two-time All-American selection in women’s lacrosse, leading the Tar Heels all the way to the Final Four on two occasions. I would say don’t under estimate how competitive girls can be and how much they want to learn. I found that the more competitive I would make practice, the more enjoyable and the more intense and invested the players would be. Girls love to compete. Communication is also very important. Girls are people pleasers by nature so they want to feel like they are doing right by their coaches and they want to work hard. Positive reinforcement and encouragement are essential. At the end of the day, the players want to have “fun” but as coaches it is our responsibility to still teach the game the right way. There is no reason why coaches can’t make sessions enjoyable where the players are learning at the same time. Finding that balance is key. For Sarah Dacey’s team building game called “Zimbabwe,” please read How To Coach Girls coming out March 2018. Mary-Frances Monroe has been the head soccer coach at University of Miami since 2016, after seven years as the head coach of the University of Albany. A well-respected player and instructor, Monroe competed on the field with the Boston Breakers of the WPSL Elite League as recently as the 2012 season. Charged with building the Great Danes program from the ground up, Monroe and her coaching staff won 2009 America East Co-Coaching Staff of the Year honors in just her fourth year at the helm. During that season, the Great Danes earned the first Division I postseason berth in program history. Just one year later in 2010, the Great Danes finished with a 10-8-2 record under Monroe’s direction – the first winning season for the program since 1988. A four-year college All-American at the University of Connecticut and UCLA, Monroe was a candidate for the Hermann Trophy, awarded to the best female college soccer player in the country. As a freshman with the Huskies, the Northport, N.Y., native set the program’s single-season record with 65 points. Monroe was rewarded for her spectacular debut with BIG EAST Rookie of the Year honors and first-team all-conference recognition. Monroe also achieved success on the international level as a player, earning several caps with the United States Women’s National Team. Be honest and communicate. Communication is so important at all levels. It is so important to be positive when a player does something well. Understand your players. Some players may need more positive reinforcement than others. Sometimes those players may even need you to say “great pass” even if it was a 15 yard pass completed under pressure. Make sure you understand that isn’t praising a player for making a mistake. This is helping a player build confidence. There are also times that you need to be hard/demanding on a player. They want to know what they are doing wrong and how to fix it. Just yelling at a player telling them what they already know doesn’t help a player develop. These kids are human and will make mistakes, but they need to understand that at the next level making continuous mistakes may cause them limited playing time. I tell my players I am their biggest fan but I am hard and I am demanding. I want to help develop them into the best player that they can be and help them follow their goals and dreams and the goals of the team. Another piece of advice is to hold them accountable. You may have a super star that thinks they can get away with anything because they are “good” and/or the “best player on the team”. I have coached players that are the best on the team but their body language is poor when they make a mistake. I pull them over and explain to them they need to set a better example for the team. How do you think your teammates will feel if I let you get away with your poor body language. Think about someone who doesn’t play a lot and I continue to play you even though you don’t follow our rule of having good body language. This has been a great lesson for players like that. For this particular player, I understood as a coach she was just upset with herself but her team make not see it that way. For Mary-Frances Monroe’s team building exercise, please read How To Coach Girls coming out March of 2018. 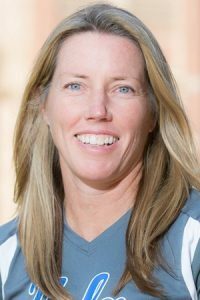 Amanda Cromwell is the head coach of UCLA’s women’s soccer where she led her team after taking the reins for just eight months to the program’s first-ever NCAA Championship. 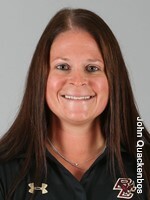 Previously, she was head coach for 14 years at the University of Central Florida. She was also head coach at University of Maryland-Baltimore County from 1996-97 and an assistant coach at the University of Virginia. Cromwell attended the University of Virginia and was the captain of the 1991 Cavaliers team that advanced to the Final Four. She was a two-time All-America selection, a finalist for the 1991 Hermann Trophy and a four-time All-Atlantic Coast Conference honoree. In addition to coaching, she served as a member of the NCAA Men’s and Women’s Soccer Rules Committee and U.S. Soccer Board of Directors, and was a member of the President’s Council on Physical Fitness and Sports. She is also a member of the coaching staff that the State Department sends as an envoy to other countries to empower girls and women through soccer. I would say to empower young girls they need to let them know it’s OK to be the best and to strive to be the best. I think sometimes young girls don’t want to stand out from the crowd and the coaches need to give them the confidence to do so. Ainslee Lamb was head coach of the Yale University field hockey team from 1999 to 2003. In 2005, she became head coach of Boston College, where she coached for 10 years. Under her lead, the Eagles recorded a winning record and have received many accolades. At the end of the 2014–15 season, Lamb resigned her position as head coach. 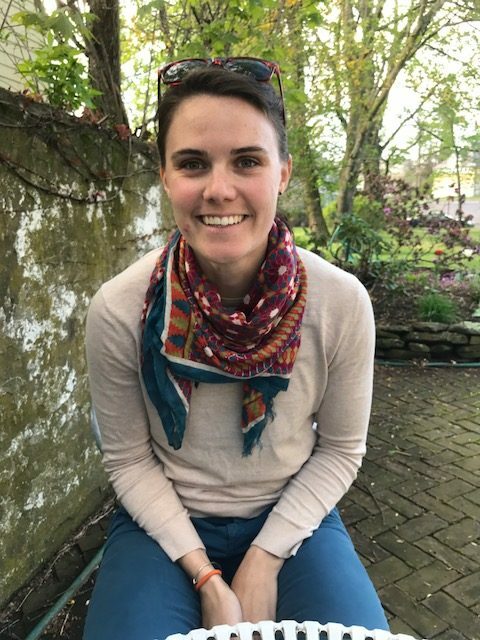 She is currently coaching Natick Middle School girls field hockey as well as coaching various national teams for the USA Field Hockey program including U17, U19 and U21. A 1994 graduate of the University of Toronto, Lamb was a three-year field hockey letter winner, helped lead the team to a national championship in 1988 and earned All-Canadian honors three times. Prior to college, Lamb was a member of both the 1990 World Cup team and Canadian National team from 1987-92, where she competed in the Junior World Cup, the Olympic qualifying tournament and two Four Nation Tournaments. Amazingly enough, my proudest accomplishment is coaching middle school girls U14 field hockey. That’s been incredibly rewarding for me, but I do a feel an increased responsibility coaching those young women versus the national team level. When I reflect on the last two years, I think about those coaching opportunities with Natick middle school girls who have touched field hockey for the very first time. Relative to twenty years of collegiate coaching, I think that the culmination of my coaching experience came to the forefront with this young age group. Young girls playing sport can teach us so much. The best example is “will to prepare” and “desire to win” are key intangibles that I want to instill in young athletes but at the same time, they teach us true perspective. It’s a real tribute to them that they have the ability to be very focused with their sport but also can also compartmentalize – certainly much better than elite coaches can. That’s what I’ve learned from them. One of the first questions that I ask all the teams and individual athletes I work with are: “What are we doing well?” I don’t know if I ever asked the athletes that I worked with at Yale or Boston College this question. The emphasis was on what do we need to work on, what do we have to fix, why are we not winning the game right now. More the doubting questions versus instilling these athletes focus on what they are doing well. Feeding them with what they are doing well ironically takes care of the things that are not happening on the field because they go back with such confidence on what they are doing well and they focus on those strengths instead of things that not allowing them to win the game. I love that now. It’s the first question that I ask. My rule with my daughter is that she has to tell me three things she does well before I will have a conversation about things that we can do better. I think it’s really important that they feel confident about what they are doing, but girls need to learn to say things that they do well. Ironically, we sometimes are so critical and always expecting more of ourselves that even in individual meetings with the Boston College athletes and you ask the girls what are your strengths. They would answer, “I can’t really think of one.” And yet these young women are some of the best players in the country. I really like to instill in young women don’t be afraid to say something you are good at. The getting better and improvement conversations are then easier to have. For more of Ainslee Lamb’s advice on coaching her daughter, advice to first time coaches, and retaining girls in sports, please read How to Coach Girls coming out March of 2018. Ashley Obrest returned to Boston College in 2011 as Head Softball Coach where she is still in the school’s record book for career runs batted in (95), as well as single-season on-base percentage (.423) and walks (28). Under Obrest, the Eagles won a program-best 12 ACC games in 2014. Boston College’s 12 ACC wins is the most conference wins the program has recorded in 11 years. Obrest was at Colgate University prior to rejoining Boston College. 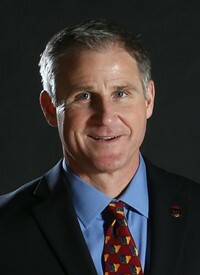 Following a two-year stint as the assistant coach, Obrest was promoted to head coach of Colgate University in July 2010. She set a school record for most wins by a first year head coach (27) and led the Raiders to a regular season Patriot League title with a 16-3 conference mark. Prior to joining Colgate, Obrest has served as an assistant coach at Concordia University in Chicago and a private hitting and catching instructor for the Chicago White Sox Training Academy. My best piece of advice to a girls youth coach would be to teach young girls the value of a strong work ethic. I often hear the expression, “I work hard.” But what does that truly mean? What does that look like? If you “work hard,” you should not have to say those words. There are so many young athletes that are simply not “walking the talk.” What are you doing to become great, not just good? Are you showing up to practice with a plan and a mindset to get better? Or are you showing up to practice with no focus and a “get through it” mindset? Understanding the difference between saying you work hard and consistently giving full effort is key. For Ashley’s best team building exercise, please read How To Coach Girls coming out March of 2018. Chandra Wisneski began Nordic Skiing as a freshman in high school. She joined the Nordic team at University of Maine at Presque Isle and studied a dual major in Cross Country Ski Coaching and Athletic Training. After graduating, she was part of the coaching team for the New Zealand National Development Team. She furthered her education with a chiropractic degree, and continued coaching Nordic Ski as the Ski School Director at Weston Ski Track. She is the Newton North High School Nordic Ski coach for both the girls and boys teams. In just two years, the team grew from 38 to 58 members, with half the team new to the sport. The biggest difference between girls and boys that I’ve noticed is that boys are encouraged to play sports and get sweaty growing up. In high school, boys tend to enter sport with more experience but girls just don’t have that feedback. Girls want to work hard but they are more shy about working out. For example, when I brought the team to the weight room, the girls sat in a corner and didn’t participate while the boys strutted around as if they knew what they were doing, even if they didn’t. Doing a sport is really intimidating especially if it’s for the first time, so I think girls need more encouragement to get messy. I think if the coach is having fun, then the team will have fun. How I always had fun was when we used to do these crazy workouts that we’d talk about afterwards. If you do something that’s so ridiculous that no one is going to believe you, that makes for the best stories and that makes it more exciting to do. Going out running four 400s isn’t fun, but if you do it as a scavenger hunt, then you have a shared experience with your group. I worked as a summer camp counselor for a number of years, so I got a lot of experience turning everything into a game. For Nordic Ski dry land workouts, I’ll design a scavenger hunt by putting locations on puzzle pieces. Each group finds a puzzle piece and then runs to that location and back. If they get a duplicate puzzle piece, they have to get another team to do that run. They have to find all the puzzle pieces until they complete the puzzle. They end up running for an hour, but it ends up being really fun. An added bonus is that it fosters cooperation and team chemistry. For games to keep it fun, please read How To Coach Girls coming out March of 2018. His son Davis (4), passed away unexpectedly on May 6, 2010. Johnspn, who was an assistant coach at Boston College from 2006 through 2008, took over as head coach in 2012 when the Eagles came off one of their worst seasons (7-23) in recent memory. In his first season, he took a team that was formerly 7-23 and finished 12-19 in the 2012-13 season. Last season, the squad finished 12th in the ACC, with an overall record of 13-17. My best advice to a girls youth coach is to focus on the culture of the team. If you emphasize and teach body language, eye contact, hustle, togetherness, energy, attitude, responsibility, communication, focus, etc. then EVERYTHING else you teach about your sport will be better. These are also the skills that your players will need in school and in life. Sports and “real life” mirror each other as they reward those who display those characteristics. For Erik Johnson’s Team Building Exercise that involves food, please read How to Coach Girls coming out in 2018.